The National Register of Health Service Psychologists Board of Directors announced John C. Norcross, PhD, as the recipient of the 2014 Alfred M. Wellner Lifetime Achievement Award. 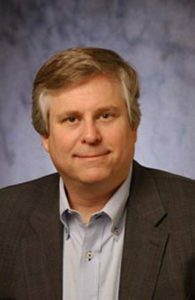 Dr. Norcross received his PhD from the University of Rhode Island and is a Distinguished Professor of Psychology at the University of Scranton. Authoring more than 300 publications, Dr. Norcross wrote the acclaimed self-help book Changeology, and has co-written numerous books, principally in the areas of psychotherapy, clinical training, and self-change. An engaging teacher and clinician, Dr. Norcross has conducted workshops and lectures in 30 countries and was past-president of the American Psychological Association’s Division of Psychotherapy and the Division of Clinical Psychology. He has served as an APA council representative and on the Board of Directors of the National Register of Health Service Psychologists. Dr. Norcross has been credentialed by the National Register since 1989. The National Register of Health Service Psychologists is the largest credentialing organization for psychologists. Established in 1974, the independent nonprofit organization is dedicated to improving healthcare by identifying psychologists who meet specific credentialing standards to consumers, healthcare organizations, and regulatory bodies. For more information, visit www.nationalregister.org.